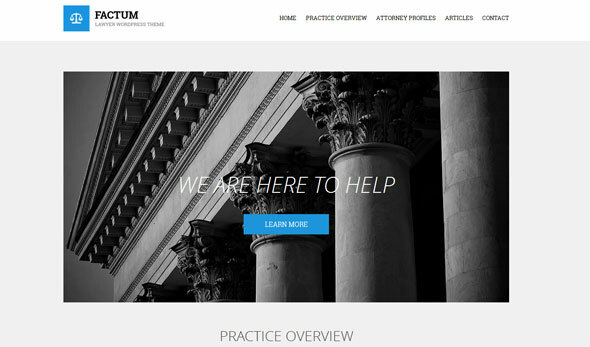 Factum is a clean cut, single page, business WordPress theme specially crafted for law companies, attorneys or legal offices. Welcome to Santorini Resort. Our beautiful responsive WordPress theme specifically designed to showcase your hotel / resort in style. Enjoy your stay. Olympic consists of 25% protein, 75% WordPress and 100% awesomeness. 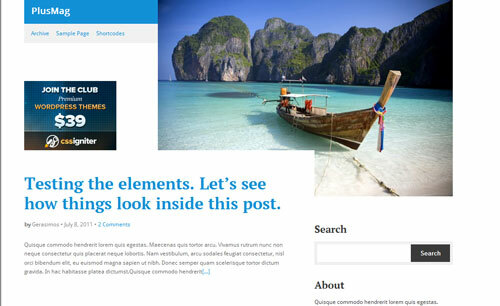 Bulk up your business’s website with the Arnold of themes. A music theme for musicians, artists, nightclubs and everyone in the entertainment industry. 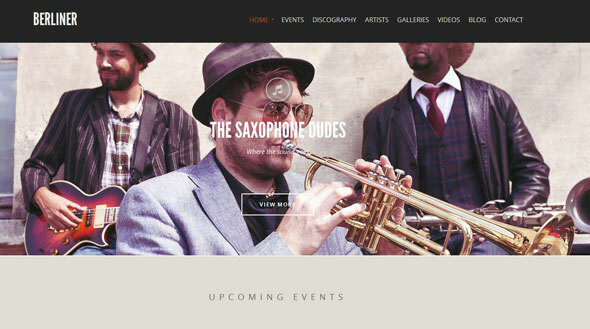 Dionysus is the perfect theme for DJs, Bands and everyone in the music industry. Show your new releases, your tour schedule and let your fans listen to your upcoming hits! 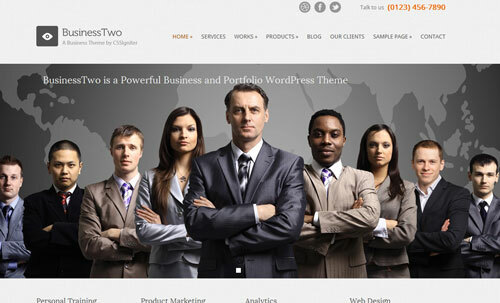 If you liked our previous Business and Portfolio themes you will be amazed by how powerful BusinessTwo is. Share your online findings with the world Pinterest-style using the almighty Pintores. Host your heart’s content with style on Hartee. 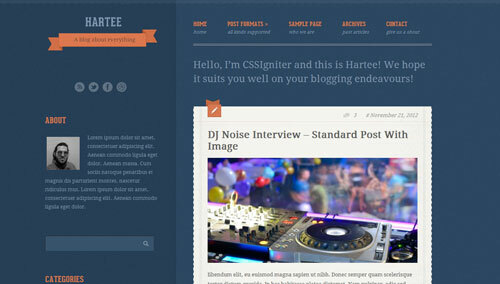 A beautiful tumblr-like theme for WordPress. Ready to share your online findings with your visitors? 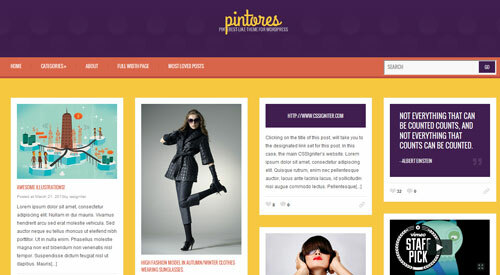 With Pinfinity, our tumblr-like theme for WordPress you can do it à la Pinterest. Sweet! 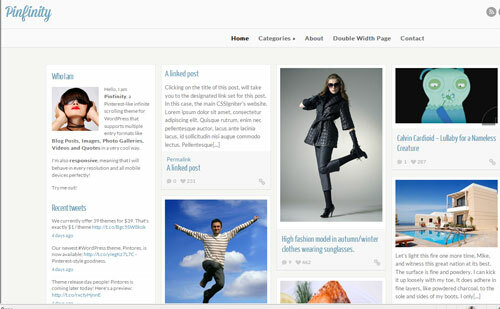 PlusMag is a minimal theme. Perfect for blog / magazine authors. Available in multiple colors and a really unique layout it can make your blog stand out of the crowd. Latest version if possible would be appreciated. Thank you very much!